This information is also provided in compliance with the article 13 of the EU Regulation 2016/679 to those who interact with the institutional website of Istituto Auxologico Italiano, which is electronically accessible at the address: https://www.auxologico.com. This information is valid only for the above-mentioned website and not for any other website anyhow visited by the user through the reference link. Istituto Auxologico Italiano owns the website https://www.auxologico.com. Browsing this website can lead to the processing of data of identified or identifiable individuals (data subjects). The data controller is Istituto Auxologico Italiano based in Milan (Italy), 13 via L. Ariosto. 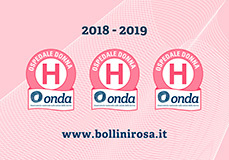 The data processing referred to the web services provided by this website take place in the Marketing Office of Istituto Auxologico Italiano, which is based in Milan, 5 via Spagnoletto, and they are handled only by the office technical employees responsible for the data processing, or by any person charged with occasional maintenance operations. No data arising from the web service are communicated or disseminated. During the ordinary course of operation, the IT systems and the software procedures of this website can acquire some personal data, whose transmission is implicit in the use of the Internet communication protocols. Although these pieces of information are not collected to be associated to identified data subjects, they can allow to detect the users just by processing and matching the data held by third parties. This category of data includes: IP addresses or computer domain names used by the visitors browsing the website, the addresses in the Uniform Resource Identifier (URI) notation of the requested resources, the application time, the method used to submit the inquiry to the server, the size of the reply file, the numerical code indicating the server response status (success, error, etc.) and other parameters related to the operating system and to the computer environment of the user. These data are used only to achieve anonymous statistical pieces of information on the website use and to check its proper functionality and are promptly deleted after processing. The data could be used to ascertain the liabilities of supposed IT crimes jeopardizing the website: without prejudice to this case, the contact data remain on the website not more than seven days. The optional, explicit and voluntary emails sent to the addresses shown on this website involves the subsequent acquisition of the sender address, which is necessary to reply to his/her requests, as well as of any other personal data disclosed in the message. Cookies are not used to transmit personal pieces of information. No persistent cookies of any kind or systems to track the user are utilized. The use of session cookies (which are not persistently stored on the user computer and are deleted when closing the browser) is strictly limited to the transmission of session identifiers (consisting of random numbers generated by the server) that are required to allow the safe and efficient website browsing. The session cookies used in this website avoid the use of other IT techniques potentially able to jeopardize the private nature of the user browsing activities and do not permit the acquisition of personal data able to identify the user. Without prejudice to what detailed for the browsing data, each user is free to provide his/her personal data reported in the inquiry forms to Istituto Auxologico Italiano or anyhow shown in the proper contact fields. Failure to provide such data can lead to the impossibility to obtain what requested. Personal data shall be processed by computerized means for the lapse time strictly necessary to achieve the purposes for which they are collected. Specific security measures were implemented to prevent the loss of data, their illicit or incorrect use and the non-authorized access. Among the different rights granted by the Regulation (EU) 2016/679 to the data subjects there are: the right to ask the data controller to access one’s own personal data and to rectify or delete them as well as to limit or to oppose to one’s own data processing, in addition to the right to the data portability, the right to withdraw the consent at any time without prejudice to the lawfulness of processing in compliance with the consent given before the revocation, the right to lodge a complaint with the Data Protection Authority. To exercise your rights, you can contact the Data Controller sending a written communication to the following address: Istituto Auxologico Italiano - Direzione Generale – Via L. Ariosto 13 – 20145 Milano, or via fax at no. 0039.02.619112204.